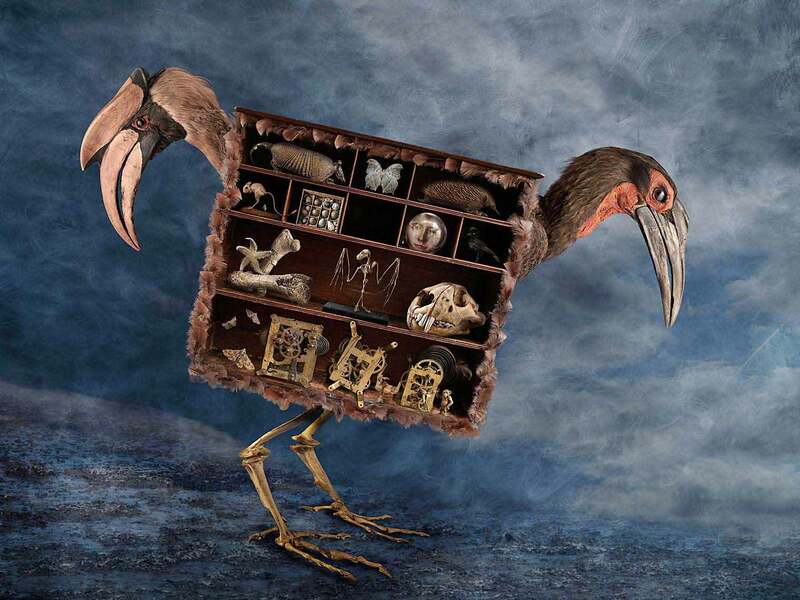 The Travelling Cabinet of Curiosity - standing on skeletal legs and powered by a monkey and clockwork moths. Inside the surreal cabinet is a clockwork engine, moths, Moa bones, starfish, a tiger skull, a bat skeleton, an Armadillo and Echidna.There is a giant bird head on either side of the cabinet. Fictional accounts claim that this travelling Cabinet belonged to Count Muldivo.